HIGHLANDERS FC defender Peter Muduhwa is Chicken Inn's prime target as the the Gamecocks prepare for the next season's Castle Lager Premier Soccer League. Chicken Inn, 2015 Castle Lager Premier Soccer League champions finished the 2018 campaign third on the table behind champions FC Platinum and runners-up Ngezi Platinum Stars. In an interview on the sidelines of the Castle Lager Soccer Star of the Year selection in Harare on Thursday, Chicken Inn coach Joey Antipas had a slip of a tongue, revealing his desire to have Muduhwa in his squad next season. Antipas was responding to questions about their plans for 2019 and revealed that his side will certainly be challenging for the Premiership title. "I thought we could've done much better in 2018. There were times we were also in the race and we just lost the plot, lost games we should have won or drew. Some of the players right now still got it but I don't think they'll be good enough because we want to challenge for the championship. So to challenge the championship you need to bring in players who will add value to the squad. Some of the players are in the twilights of their careers, so we have to add more firepower. By firepower I mean a couple of more youthful players. Football is about fighting, so we need to bring in fighters. "Areas of much concern are the wingers, we don't have much depth on the flanks and also bring in a quality centre back like Peter Muduhwa, I think it will be ok," said Antipas. The old horses at Chicken Inn who are reaching the "twilight" of their careers include 37-year-old central defender Moses Jackson, midfielder Clemence Matawu who turned 36 on Thursday, striker Obidiah Tarumbwa (33), defender Ben Nyahunzwi,central midfielder Simon Munawa, Guide Goddard (30), Last Sithole (28) and Kudzai Chideu (28). Nyahunzwi and Jackson have been competing at central defence alongside Goddard who spent the better part of the season on the bench. Muduhwa, whose contract with Highlanders expires on December 31 is also on the ambitious Ngezi Platinum Stars' radar. 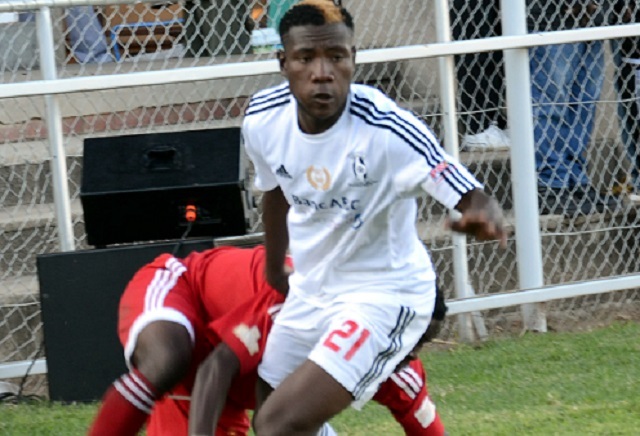 The 25-year-old utility player was a vital cog in Madinda Ndlovu coached Highlanders, showing a big heart as he stamped his authority in central defence and even did well as a defensive midfielder. Muduhwa declined to comment on his future, saying: "I'm in no rush to make a decision. Right now I just need a break and once I've made a decision it will be made public."